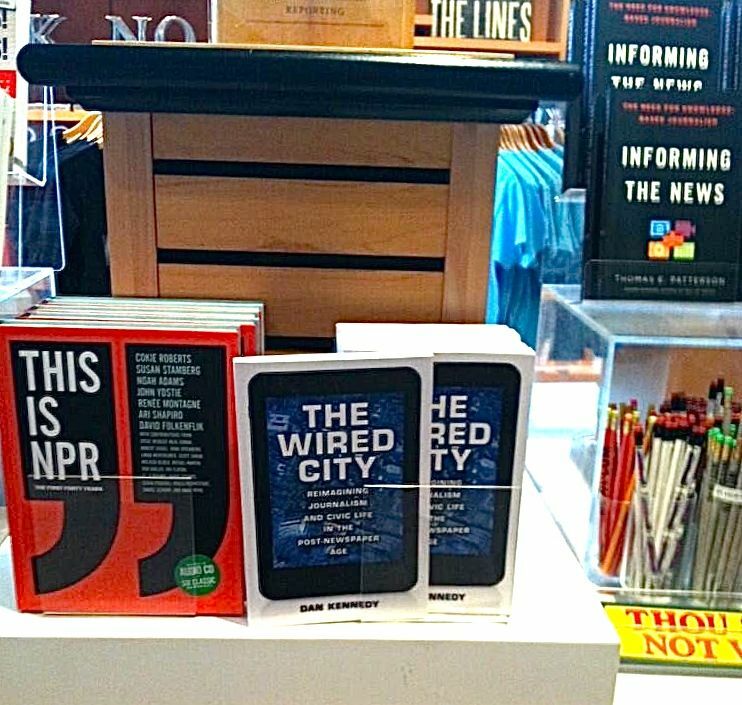 “The Wired City,” spotted in the gift shop of the Newseum in Washington and tweeted by Kevin Koczwara (http://bit.ly/1iUAYhS). The Wired City World Tour heats up again with two stops this coming week. The following day I’ll be at the Morse Institute Library in Natick for a book event sponsored by the Natick Historical Society. It starts at 2:30 p.m. and is open to the public. I’ll have copies of “The Wired City” and “Little People.” If you’re in the area, I hope you’ll consider dropping by.